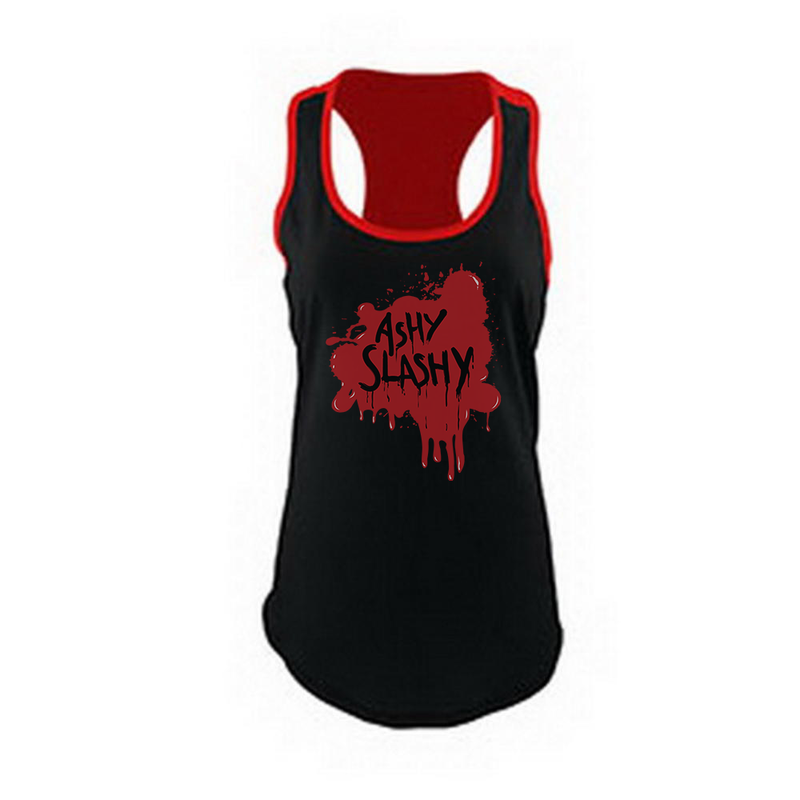 Ashy Slashy Women’s Tank. 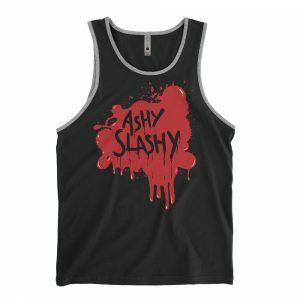 A black and red tank top inspired by Ash vs. Evil Dead. 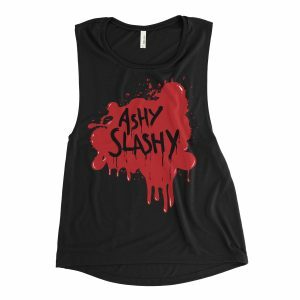 Please allow an additional week for printing and shipping on back-orders.